This is the way I want to remember Whitney. I love the hair and of course . . . the voice. This song is very energetic, because it keeps people awake. R.I.P. Whitney Houston. We'll miss you. Of all Whitney's upbeat songs, this is her best! It makes you want to dance! she was the best, sorry we lost her, you go Girl! OMG.! Ih Luve Dis Song.! 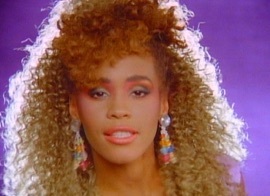 RIP Whitney.! Yhue Will Always Be Missed And IIIIIIIIIIIIIIIhhhhhhhhhhhh Will Always Luve Yhuuuuuuuuuuuuuuuuee. !